Toothpaste has various uses, such as freshening the breath, helping to prevent oral problems including halitosis, whitening the teeth and helping with overall teeth cleanliness. However, it is interesting that it can be easily made at home using basic ingredients and a simple procedure. How was toothpaste made in the past? According to ancient records, the first toothpaste was made by the ancient Egyptians (c. 3,000‑5,000 BC), using the ashes from burnt oxen hooves or egg shells. The ashes were converted into powdered form and then combined with pumice. This combination was primarily meant to remove the accumulated debris from the surface of the teeth. It is believed that water was added to this mixture to form a paste before use. Skip to homemade toothpaste instructions. What are the constituents of toothpaste? Currently, toothpaste serves two basic functions - therapeutic and preventive. In general, American Dental Association-approved toothpaste contains fluoride and other active ingredients which serve specific functions such as tooth whitening, plaque removal, minimizing gingivitis, and preventing halitosis (bad breath) and tooth erosion. Antimicrobial agents such as stannous fluoride, triclosan, and zinc citrate, which help to prevent the accumulation of plaque. Are any of these ingredients toxic? Though conventional toothpaste is usually safe for use, an overdose of some of these ingredients could be fatal. Toxic ingredients in toothpaste could include sodium fluoride and triclosan. An overdose may result in stomach pain or an intestinal blockage. Immediate medical attention should be sought if an overdose of conventional toothpaste is suspected. What ingredients should be avoided in home-made (natural) toothpaste? In view of the above potential for toxicity, many consumers are turning to a natural toothpaste. 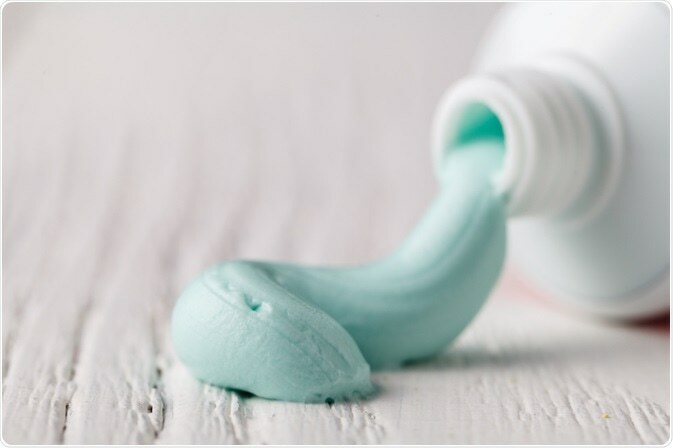 Natural toothpaste prepared at home is free of any side effects but delivers both preventive and therapeutic benefits to help maintain good oral health. Which ingredients should you include in home-made toothpaste? Coconut oil, which has natural antimicrobial, anti-inflammatory, and antifungal properties. Coconut oil fights the fungal infection caused by Candida albicans. It also protects the teeth against cavities and is readily available. Coconut oil (76 oC) forms the base of many homemade toothpastes. The alkaline nature of baking soda neutralizes the pH of the oral cavity. This chemical also has mild abrasive properties to remove stains from teeth. The alkaline property of sea salt makes it a good ingredient of a natural toothpaste. Guar gum is a type of pea plant that is available in powdered form and acts as a thickening agent. It also keeps the other ingredients in the toothpaste stable. Chocolate, which has certain antibacterial properties which are effective in removing plaque. Researchers consider the remineralization properties of chocolate to be higher than those of fluoride. Bentonite clay, which is high in minerals and has alkaline properties which help to balance the acidic pH of the mouth. Calcium and magnesium powder which enhance the process of remineralization. Flavoring agents like stevia, xylitol, spices such as mint, cloves, and cinnamon, and essential oils, may also be used. There are three ways to make home-made toothpaste. Mix all the ingredients well to get a smooth texture. This preparation forms basic toothpaste; however, to prepare whitening toothpaste, whitening ingredients (e.g. turmeric) must be added in minute proportions. Also, the proportion of abrasive agents (e.g. baking soda or diatomaceous earth) must be kept low to prevent tooth enamel damage. 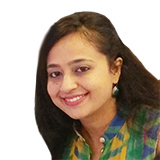 Akshima is a registered dentist and seasoned medical writer from Dharamshala, India. Akshima is actively involved in educating people about the importance of good dental health. She examines patients and lends free counseling sessions. Taking her passion for medical writing ahead, her aim is to educate the masses about the value of good oral health.